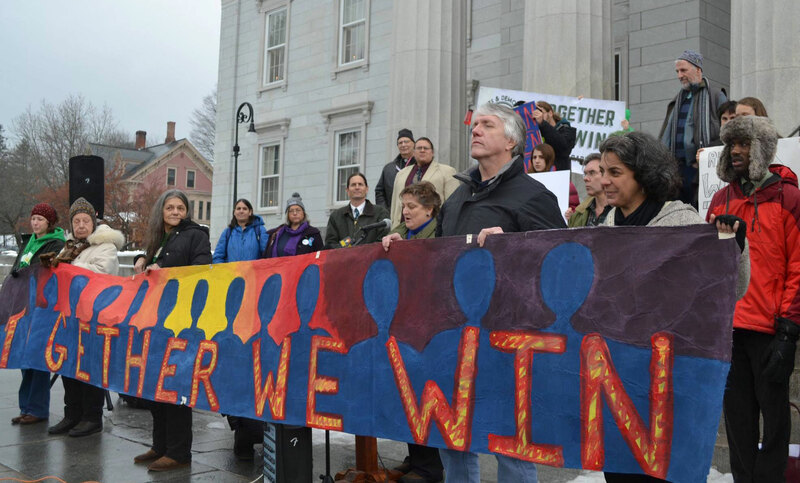 Rights & Democracy has launched an exciting listening campaign to hear from people around Vermont—of diverse backgrounds and political viewpoints. Do you worry about how people are treated fairly? We also ask you what we should be doing to address them so we can work with you on those issues in your community and across the state. Help us get there by taking the survey, passing it along to a friend or neighbor, and let us know if you’d like to host a forum in your community about this survey. It’s a great way to have a quality conversation about the issues that matter most to your community, and how we can solve them—together. Once we’ve collected your responses to the survey, we will share the results as part of an updated Vermont People’s Platform. Once again: That link to our survey.